This picture seems like it could mean someone could have worked on a railroad and died by the railroad. That the person worked so long building them that it was the only thing they knew and passed away alongside it. It doesn’t have to be necessarily a bad thing, just could mean that it was how they were remembered. 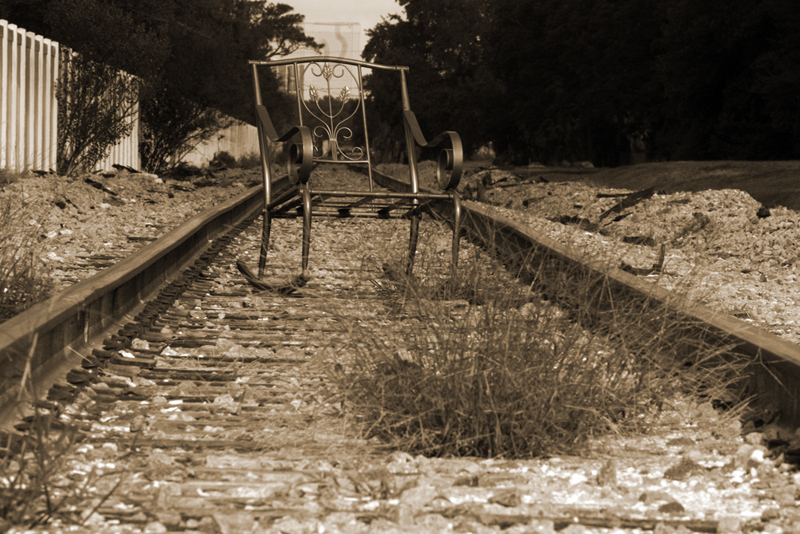 Another thing it could represent is the empty chair could be the diminishing use of railroads. Since we can transport goods by air and water a lot faster, the railroad system has died down.